Two companies spun out of research conducted at the University of Oregon are among five Oregon startups that will share $300,000 in state innovation grants for small businesses. The companies — SupraSensor Technologies and NemaMetrix — will receive a combined total of more than $110,000 from Business Oregon, the state’s economic development office, to help prepare them to compete for larger investments from the federal government. The grants are part of a new state initiative focused on growing local startups in order to generate jobs and opportunities in Oregon. The federal programs, known as Small Business Innovation Research and Small Business Technology Transfer, award $2.5 billion in grants annually. The federal awards are designed to encourage small companies and universities to pursue research that helps bring new ideas to market and maintains the United States’ position as a global leader in innovation. Co-founded by Calden Carroll and UO chemistry professors Michael Haley and Darren Johnson, SupraSensor is the developer of a wireless nitrate testing device that can help farmers use fertilizer more efficiently. By reducing over-fertilization, the device will save money and reduce the amount of nitrate-based fertilizer that ends up in waterways. Based on research by UO biology professors Shawn Lockery and Janis Weeks, NemaMetrix is the developer of the ScreenChip. The chip is a drug discovery platform that uses microscopic worms to investigate disease mechanisms and treatments. Managed by chief executive Matt Beaudet, NemaMetrix is currently one of the eight startups participating in the RAIN Eugene Accelerator, a program that provides mentorship and hands-on training to startup founders. Part of the state-wide Oregon Regional Accelerator and Innovation Network, RAIN Eugene is managed as a partnership between the UO, the city of Eugene and the Eugene Area Chamber of Commerce. 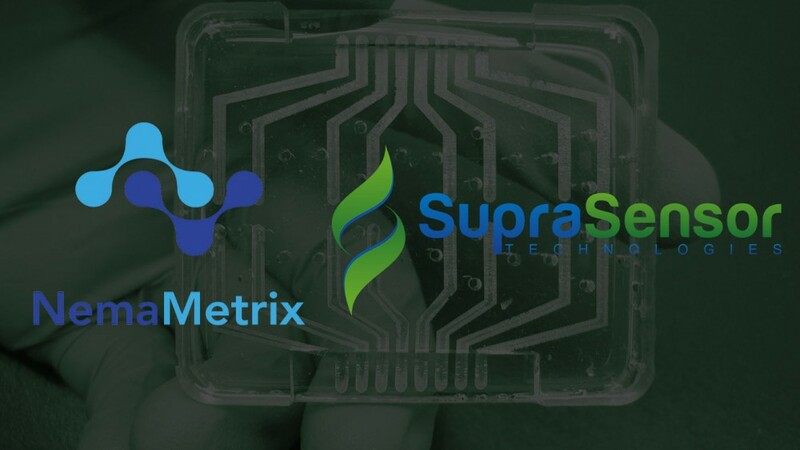 Both NemaMetrix and SupraSensor also received support from Fertilab Thinkubator, a local non-profit business incubator and co-working space co-founded by Beaudet and Joe Maruschak, director of the RAIN Eugene Accelerator, among others.